Plan your day quickly with Long Day. Add tasks to each time block without having to close your keyboard. Long Day is designed for the hour by hour tasks you have to get done today, so you can keep your other calendar app free for far off appointments and birthdays. • Enable notifications in the settings to be alerted when it's time to do another task. • Swipe to complete a task. Swipe again to undo. • Plan today, the days ahead, and look back to past tasks. * Tap the ‘Edit’ button to reorder tasks. • Quickly copy incomplete tasks from the previous day to your currently selected day. • Control which hours are visible through the settings. • Plan your day in in 15 minute, 30 minute, or hour long intervals. This application is user friendly and easily enables the individual to plan out weeks at a time in various intervals as short as 15 minutes. You will also be able to receive notifications on your device. There are adds as the creator should be reimbursed for this service. One can disable the advertisements for $2.99 which is a small price for the removal. However, the advertising is fairly discreet and can be prioritized for the individual at the request. I am enjoying the application so far and appreciate its various uses. I really like this app is has everything I need. I really like that you can make it every 15 minutes, 30 minutes or 60 minutes. Also how you can choose what hour to start at and finish at, I don’t like in other apps how it’s all 24 hours. I do really like the 24 hour time/military time (which is optional.) I would like to suggest the ability to make notes for each day like if something might change or if you just need to keep something in mind, but other than that this app is everything I needed. 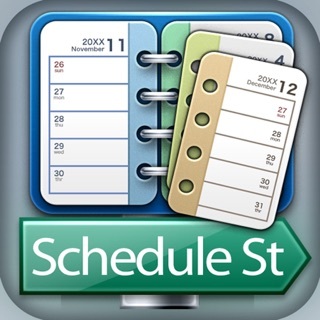 I am a college student and this app is perfect for keeping my day organized. I would like to be able to set anticipation reminders, instead of the immediate notification. For instance, I would like to receive the notification globally 10-15 minutes before the task is scheduled to begin. The new 15 minute increment option is awesome. It would be great to be able to make a list of things to do, then order them into the schedule. Until that happens, I have to do that part on paper.